While many sites do take every aspect of their appearance into consideration, perhaps the most commonly overlooked is the choice of font. Unfortunately, this is really a big mistake because font choice relays all of your information to your viewers. Choosing the wrong font for your website can have disastrous effects. It can put your company in a bad light, mis-communicate your brand message or even flat out cause a viewer to stop reading and leave—assuming they ever started! 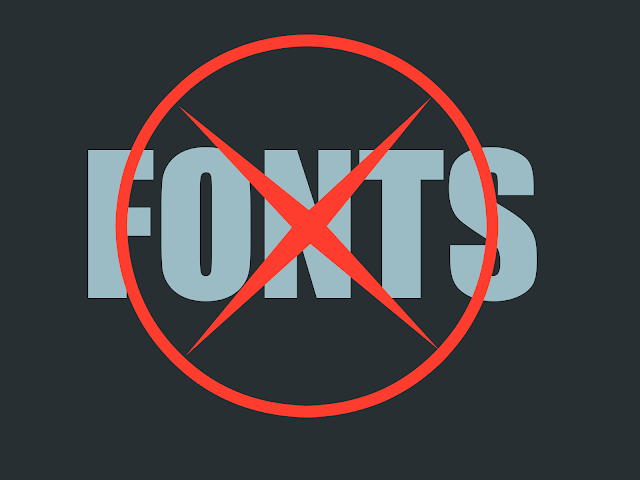 To help you avoid making costly mistakes on your website, here are the five fonts that you want to avoid, including why and a list of possible alternatives if you really like the way these bad fonts look! Considered the red-headed step-child of the font world, this is the one everyone out there loves to hate. Why? Well, not because it's the worst font in the world. It's actually pleasant to look at...when you're reading a comic book! When used appropriately, Comic Sans is a fun way to get your message across to the right audience. But the reason Comic Sans is so hated is because too many people use it in the wrong application. Consider the facts: Comic Sans was designed in 1994 by Vincent Connare for Microsoft. 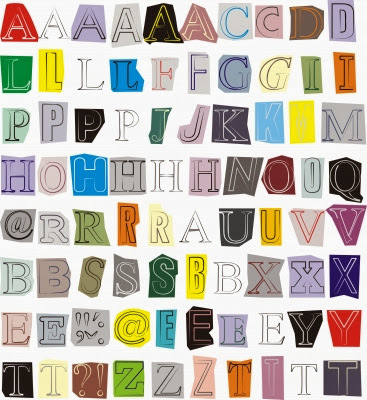 He was creating a font that would appeal to kids and he used comic books as his inspiration. So if you are creating a website for kids or centered around comic books (or working with dyslexic people), use Comic Sans until your heart's content. Otherwise, stay far, far away from it, especially if you want to convey anything resembling authority and not being a laughing stock. Most web designers refuse to use this. Why it's so bad: It's for kids under eleven years of age and dyslexic people—to everyone else, it's comical. What you should use instead: Lexia Readable, P22 Kaz Pro, JM Doodle Medium, FF Friday Regular, Sharktooth Regular or even Comic Strip. In 1982, many things happened, but poor Chris Costello didn't know he was creating what would become known as one of the world's worst fonts ever. We're talking, of course, about Papyrus. Check any list of worst fonts in the world and there our poor Papyrus is. Of course, every dog has its day so if you're creating a website about Moses in Egypt, Papryus might work for you. Otherwise, we're not sure what would drive anyone to use this—which is why not even one brand does. Why it's so bad: It looks like what they probably kept track of pyramid-related deaths with. What you should use instead: Corvallis Sans Volume, Oxida OT, Florentine Set OT or FF Clair. For the creation of Futura, we have to travel all the way back to 1927 and Paul Renner. Think about how people thought the future would look back then and you can probably start to understand why you should stay away from this one. Aside from being dated and used, Futura isn't all that bad of a font. It's actually a classic thanks to its different weights. It's elegant and has a ton of personality, while still remaining simple and understated. That's why Dominos, Red Bull, Absolut Vodka and Volkswagon use Future for their logos. There's no denying its attractiveness—but it's time to hang it up and move on to a future that is more in-line with our own times. Why it's so bad: Really, it's not. It looks good. Which is why everyone else used it. Played out. What you should use instead: If you want to use Futura, modify the type, otherwise you're going to look like all the other logos out there. Otherwise Twentieth Century Medium Italic is pretty nice. Made popular by Microsoft Office who used Arial as their answer to the ever popular Helvetica, this is another that is just played out. Arial might be free to use and might be Microsoft's opinion on what is the best Helvetica alternative, but they pushed too hard when they made it the default font on Office. This led to a website designer backlash (nobody likes being force-fed) and today, it's no longer the default. Viva la revolución! Why it's so bad: It's generic, everyone used it already and “The Man” tried to make us use it! Plus, it doesn't strike any nerves or give reason to remember it. What you should use instead: Calibri, Sego UI and Georgia. Why it's so bad: College term papers don't make you want to spend money—it reminds you of your student loans! What you should use instead: Liberation Serif or Verdana. Dan Mill, the writer of this article works for LiveCity.com. To find out more on how you can create free website in minutes, get in touch with him today.